• ac·ro·pho·bi·a [ak-ruh-foh-bee-uh] noun. A pathological fear of heights. • ag·o·ra·pho·bi·a [ag-er-uh-foh-bee-uh] noun. An abnormal fear of being in crowds, public places. • hy·dro·pho·bi·a [hahy-druh-foh-bee-uh] noun. An abnormal or unnatural dread of water. • chiem·a·to·pho·bi·a [kem-ah-to-foh-bee-uh] noun. A fear of coldness, being cold. You do? Well, I've got good news and I've got bad news. What do you want first? Good news? Good choice. The good news is this weekend we're going to work on you. Like, overcoming your fears/being more confident, that kind of stuff. Believe me, by next week you'll be a way more kickass version of yourself. The bad news: we're going to tackle all of your phobias simultaneously in a grueling, tightly-packed morning of hellacious suffering. Too late, sorry! You already read this. Your anguish contract is signed. 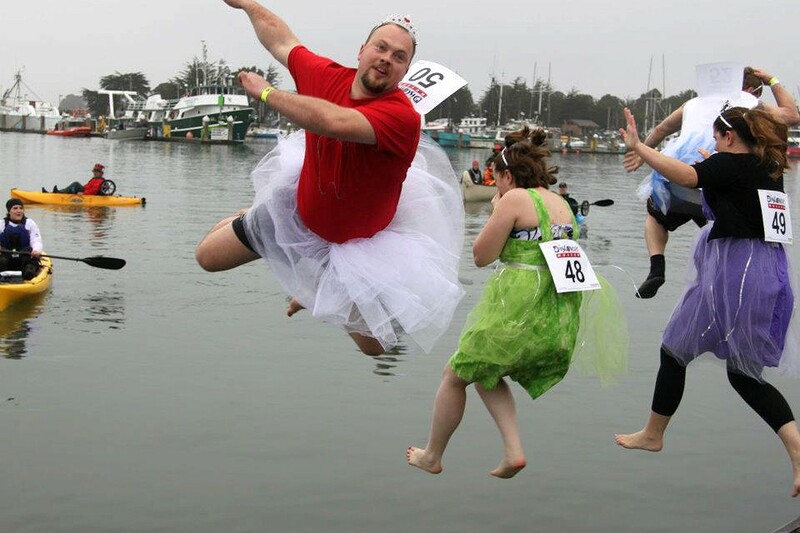 Meet me at noon on Saturday, March 10 down by the water at the foot of F Street, Old Town Eureka for the annual Perilous Plunge. Not only are you going to punch fear in the throat, you're going to help the children of Humboldt live enriched lives while doing it. Hope that helps! More bad news for you. I'm one of the official judges of this year's Plunge. I'll be grading you on enthusiasm, the size of your splash and the ridiculousness of your attire. And I'm not easy. In fact, if I deem your bay entry mediocre, I just might revoke your post-Plunge hot tub/chili and cornbread/Bloody Mary privileges. Don't screw this up. I'm watching. For more info on how you can get wet, visit discovery-museum.org.